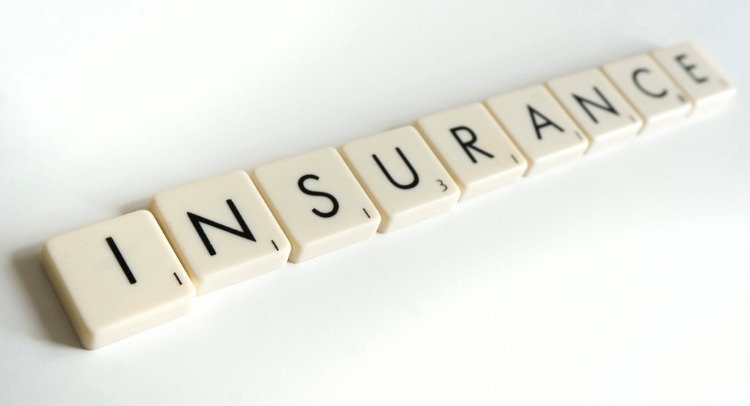 You are at:Home»Career Advice»Do You Need Income Protection Insurance? There are so many different types of insurance policies available today, making it difficult to know what you do and do not need. The last thing you want to do is end up wasting money on a policy you don’t need, but equally you don’t want to leave yourself open to a financial catastrophe. Read on to discover whether income protection is the sort of insurance you need. Before we assess the need for income protection, it is important to go over what this type of policy is. A lot of people assume that it is the same as critical illness insurance, but that is not the case. This is a policy that is designed to help you financially if you find that you cannot work anymore because you are injured or ill. Depending on the policy you select, after a certain period of time, for example, four weeks, the insurance provider will pay you a percentage of your salary (usually around 55%) until you are able to go back to work. This ensures that you are not going without income altogether and that you are able to pay your bills and get by. The policy will replace some of your income if you become disabled, ill, or suffer an injury that means you cannot work for a certain period of time. Your policy will pay you out until you are able to work again. If you are never able to work again, you will receive a payout until the end of the policy term or when you retire or pass away. This depends on what is sooner, as well as the terms and conditions of the policy. There is usually a waiting period before your payments will kick in. Most illnesses and injuries are covered. This is where the policy really differs from critical illness insurance. You will be able to claim as many times as you wish to, until your policy expires of course. You have a disability or on-going illness – If you are disabled, it is a good idea to look for income protection insurance to give you some extra security. A lot of people assume that this type of insurance is not open to those with existing medical conditions. This is not the case. There are some dedicated companies available for this type of insurance. Contact Insurestat.com for some more information about it. They will help you to determine your insurance needs while explaining the different options that are available to you. You don’t have anyone to support you if your income stops – Income protection is essential for anyone that is only relying on their own wage. If you do not have a partner or any family that could support you financially while you are ill, you should definitely look into this type of insurance. However, if your partner earns enough money to cover all bills and living expenses should anything happen, you may not need to get insurance for yourself. You’re not anywhere near your retirement age – If early retirement is a possibility for you, then it is unlikely you are going to need income protection insurance. After all, if you contract an illness or suffer an injury, you can simply take your pension early and end your career a little bit earlier than you expected. However, if retirement is a long way away, you are going to need some protection in place. You don’t have enough savings to support yourself – This is exactly the type of person that income protection insurance is designed for. If you do not have a significant pool of savings, income protection insurance is a must. You may even want to go for this type of insurance if you do have savings, as you want to protect the funds you have built up. You aren’t able to survive on government benefits – If you have suffered an injury or illness that means you cannot work; it is highly likely that you will be entitled to government benefits. However, for a lot of people, this is not enough to live off. If this applies to you, you should take some insurance out to supplement the benefits. You won’t be able to get by on sick pay – You need to read your employment contract to get a thorough understanding regarding sick pay and how much you will be entitled to. There are some companies that will pay you in full for a certain period of time, after which you will only receive half of your wages or a portion of it. If this is not enough to get by on, you should look at a policy that pays you out after ‘x’ months. This means you can take sick pay, and then once your sick pay halves, your insurance policy will kick in too, meaning you will never be out of pocket. Of course, if you are self-employed, sick pay won’t be an option, which is why income protection is even more important. Hopefully, you now have a better understanding as to whether income protection insurance is the sort of plan you need. While this is not a policy that everyone requires, there are some people that are putting themselves in a very risky position by not having this type of insurance in place. Use the advice that has been mentioned above to help you assess your need and also find the right insurance plan for your situation if you do indeed require some form of income protection.